by: Kelly A. Williams, a Senior Attorney at Houston Harbaugh, P.C. On June 16, 2016, the U.S. Supreme Court issued an opinion on awarding attorneys’ fees in copyright cases for the first time in two decades and issued the first copyright case in two years. The case is Kirtsaeng v. John Wiley & Sons Inc., case number 15-375. Section 505 of the Copyright Act provides that a district court “may . . . award a reasonable attorney’s fee to the prevailing party.” The issue presented to the Supreme Court was whether a court, in exercising that authority, should give substantial weight to the objective reasonableness of the losing party’s position. The court held that it should but that courts must also give due consideration to all other circumstances relevant to granting fees. It further held that the district courts retain discretion, in light of those factors, to make an award of attorneys’ fees even when the losing party advanced a reasonable claim or defense. Kirtsaeng, who was from Thailand, came to the U.S. to go to Cornell University. While there, he discovered John Wiley & Sons, an academic publishing company, sold virtually identical, English language textbooks in the U.S. and Thailand, but sold them at a much cheaper price in Thailand. He had family and friends in Thailand buy the books, ship them to him in the U.S. and sold them at a profit. Wiley sued Kirtsaeng for copyright infringement, claiming Kirtsaeng’s sale of the books violated its exclusive right to distribute its textbooks. Kirtsaeng invoked the “first sale doctrine” as a defense, which enables the lawful owner of a book (or other work) to resell or otherwise dispose of it as he or she wishes. Wiley countered that the first sale doctrine did not apply to books manufactured abroad. The circuit courts were split on the issue, and the issue went up to the Supreme Court. The Supreme Court agreed with Kirtsaeng and held that the first sale doctrine does allow the resale of foreign made books. Kirtsaeng went back to the district court and sought $2 million in attorneys’ fees as the prevailing party pursuant to section 505. The District Court denied the motion, relying on Second Circuit precedent that gave “substantial weight” to the “objective reasonableness” of Wiley’s infringement claim. The rational for that approach was that the imposition of a fee award against a copyright holder with an objectively reasonable—although unsuccessful—litigation position will generally not promote the purposes of the Copyright Act. The District Court and the Second Circuit, on appeal, agreed that Wiley’s position was reasonable. They also found that the other factors to be considered did not outweigh the reasonableness finding. These non-exclusive factors were set forth in Fogerty v. Fantasy Inc., 510 U.S. 517 (1994). 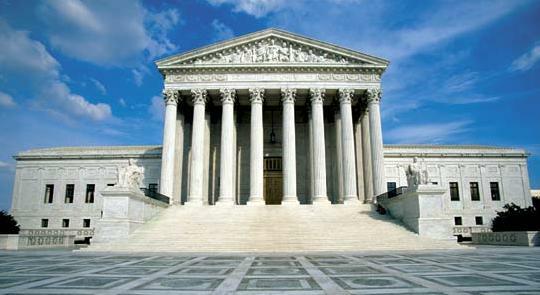 In that case, the Supreme Court identified the non-exclusive factors as the frivolousness of the case, the loser’s motivation, the objective unreasonableness of their case, and considerations of compensation and deterrence, all of which are to be applied in a manner that’s faithful to the purposes of the Copyright Act. In Kirstaeng, the Supreme Court explained that objective reasonableness can be only an important factor in assessing fee applications—not the controlling one. District courts must take into account a range of considerations beyond the reasonableness of litigating positions. Thus, a court may award fees even though the losing party offered reasonable arguments. The Supreme Court cited as an example the situation where a court orders fee-shifting because of a party’s litigation misconduct, or the court decides to deter repeated instances of copyright infringement (i.e. copyright infringement “trolls”). “Although objective reasonableness carries significant weight, courts must view all the circumstances of a case on their own terms, in light of the Copyright Act’s essential goals” (for instance—enriching the general public through access to creative works). The Supreme Court concluded that the Kirstaeng matter should be remanded to the District Court because it appeared that the court had put too much emphasis on the “reasonableness” question. Thus, the Supreme Court ordered the remand to ensure that the District Court evaluates the motion consistent with the analysis that it set forth—giving substantial weight to the reasonableness of Wiley’s litigating position, but also taking into account all other relevant factors. Rapper Rick Ross and his producers sued LMFAO members Skyler and Stefan Gordy in December 2013, claiming that “Party Rock Anthem,” which topped the Billboard charts for six weeks and sold more than 7.5 million copies in the U.S., infringed Rick Ross’s 2006 hit “Hustlin’.” The court held that Rick Ross and his producers didn’t have the copyright registration necessary to sue for infringement. The court determined that Ross and his producers never presented evidence showing they were the owners of “Hustlin’,” and the three different registrations for the song at the U.S. Copyright Office were all inaccurate. Interestingly, the members of LMFAO didn’t dispute that they had Ross’ “every day I’m hustlin” lyrics in mind when they drafted their “every day I’m shuffling” lyric. However, they raised several defenses including lack of standing and fair use. They won on lack of standing. If they had not, the court had previously ruled that it would leave the fair use issue for trial. That issue was whether LMFAO transformed Ross’ lyric into something new. Also of note was the Register of Copyrights’ finding that the misrepresentations on three registrations for Ross’s Hustlin’ song were strong enough that the Register would cancel all three. The court also commented on this, finding that the misrepresentations were dramatic and unexplained especially because two of them were filed by major, global music corporations. The court’s ruling did not cancel the registrations. However, it did bar Ross from bringing the infringement action because it turned on whether there was a valid registration, and Ross and his producers didn’t have one. The case is found at Roberts v. Gordy, case no. 1:13-cv-2470 in the U.S. Dist. Court for the S.D. Florida. In the next installment of our continuing “What Is?” series, we are going to discuss copyrights. One of the core intellectual property rights that exists under U.S. law is a copyright. In a nutshell, it is a legal right that provides authors of certain types of original and expressive works that have been fixed in a tangible medium the right to prevent others from using the work without the author’s permission. Obviously, there is a lot more detail behind this, so we will only cover some of the basics in this post. First, only certain types of works are eligible for copyright protection. They include (1) literary works, (2) musical works, (3) dramatic works, (4) choreographic works, (5) pictorial, graphic, and sculptural works, (6) motion pictures and other audiovisual works, (7) sound recordings, and (8) architectural works. In addition, the work must have been fixed in a tangible medium to be eligible for a copyright—e.g., written down, put on film, or written in a computer. Certain things cannot be copyrighted, such as (1) things that have not been fixed in a tangible form (e.g., thoughts in your head or speeches that are not recorded or written down), (2) titles, names, and short phrases, (3) ideas, methods, inventions, or systems, and (4) standardized and commonly known information, such as standard calendars, tape measures, and lists or tables of publicly known information. Second, in order to be eligible for a copyright, the work must be original. But, it does not have to be novel. In other words, the author must show that he or she created the work (and did not copy it from someone else), but the author does not have to show that he or she was the first to ever think of the work. If an author can satisfy these requirements, he or she has a copyright. Under the change in federal law in 1976, a copyright exists under federal law the moment an author fixes an original expressive work in a tangible medium. There is no longer the need to affix a copyright symbol to the work or register the work with the U.S. Copyright Office. But, and this is a big but, there are a number of important advantages to registering a work with the Copyright Office that can be lost if not done timely. So, it is best for an author to consult an intellectual property attorney if there is the possibility that the work may be valuable or need to be protected. A copyright gives an author a number of substantive legal rights, such as the ability to control who (1) reproduces or distributes copies of the work, (2) creates derivative works based on the original, and (3) performs or displays the work publicly. An author can sue an individual or company that violates these rights and collect damages, statutory penalties, or obtain a court order preventing the infringer from violating these rights in the future. In some cases, copyright infringement can even be a crime. Because a copyright is a property right, it can be sold, transferred, or licensed like other types of real and intellectual property. As of January 1, 1978, a copyright lasts for the lifetime of the author plus 70 years. If the work was made for hire or was published anonymously/psuedonymously, the copyright lasts for the shorter of 95 years from publication or 120 years from creation. For more information about copyright, you can read this nice summary by the United States Copyright Office. In upcoming posts, we’ll talk about some other issues involving copyrights, such as the fair use defense, what kind of remedies are available to authors whose works have been improperly copied, and the work-for-hire doctrine, among other things. Posted in Copyrights, What Is...? The Supreme Court announced on Friday that it will hear four additional intellectual property cases this term, which makes nine total intellectual property cases this term so far. Brief summaries of the issues presented are provided below, along with links to more information about each of these cases from our friends at SCOTUSblog. The issue in this case is whether a party may be liable for infringement under either 35 U.S.C. 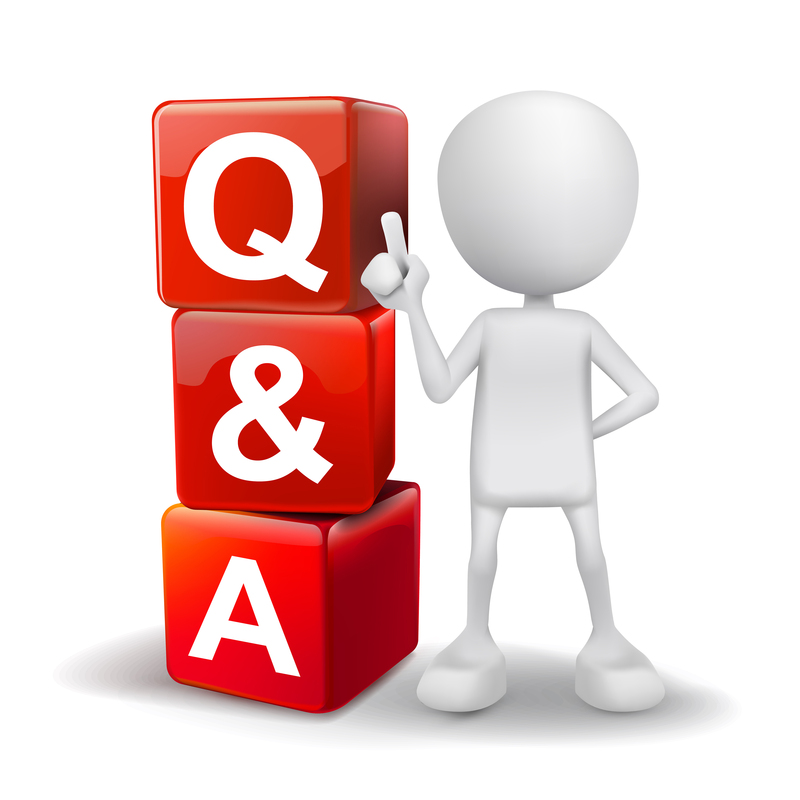 § 271(a) or § 271(b) where two or more entities join together to perform all of the steps of a process claim. Two issues are raised in this case. Does the Federal Circuit’s acceptance of ambiguous patent claims with multiple reasonable interpretations—so long as the ambiguity is not “insoluble” by a court—defeat the statutory requirement of particular and distinct patent claiming? And, does the presumption of validity dilute the requirement of particular and distinct patent claiming? The issue in this case is whether the court of appeals erred in holding that a private party cannot bring a Lanham Act claim challenging a product label regulated under the Food, Drug, and Cosmetic Act. The issue in this case is whether a company “publicly performs” a copyrighted television program when it retransmits a broadcast of that program to thousands of paid subscribers over the Internet. The issue in this case is is whether, in a declaratory judgment action brought by a licensee under MedImmune, the licensee has the burden to prove that its products do not infringe the patent, or whether (as is the case in all other patent litigation, including other declaratory judgment actions), the patentee must prove infringement. This case was argued on November 5, 2013. The issue in this case is whether the appropriate analytic framework for determining a party’s standing to maintain an action for false advertising under the Lanham Act is (1) the factors set forth in Associated Gen. Contractors of Cal., Inc. v. Cal. State Council of Carpenters (“AGC”), 459 U.S. 519, 537-45 (1983), as adopted by the Third, Fifth, Eighth, and Eleventh Circuits; (2) the categorical test, permitting suits only by an actual competitor, employed by the Seventh, Ninth, and Tenth Circuits; or (3) a version of the more expansive “reasonable interest” test, either as applied by the Sixth Circuit in this case or as applied by the Second Circuit in prior cases. This case was argued on December 3, 2013. The issue in this case is whether a district court’s exceptional-case finding under 35 U.S.C. § 285 (in a patent infringement lawsuit), based on its judgment that a suit is objectively baseless, is entitled to deference. This case will be argued on February 26, 2014. The issue in this case is whether the Federal Circuit’s promulgation of a rigid and exclusive two-part test for determining whether a case is “exceptional” under 35 U.S.C. § 285 improperly appropriate a district court’s discretionary authority to award attorney fees to prevailing accused infringers in contravention of statutory intent and this Court’s precedent, thereby raising the standard for accused infringers (but not patentees) to recoup fees and encouraging patent plaintiffs to bring spurious patent cases to cause competitive harm or coerce unwarranted settlements from defendants? The issue in this case is whether claims to computer-implemented inventions—including claims to systems and machine, processes, and items of manufacture—are directed to patent-eligible subject matter within the meaning of 35 U.S.C. § 101 as interpreted by this Court. This case will be argued on March 31, 2014. On November 14, 2013, the United States District Court for the Southern District of New York held that Google’s Books Program constituted fair use under Section 107 of the Copyright Act, 17 U.S.C. 107. Since 2004, Google has scanned more than twenty million books as part of its two digital book programs, the “Partner Program” and the “Library Project” (collectively referred to as “Google Books”). Almost 93% of the books scanned are non-fiction while the remaining 7% are fiction. The Partner Program, which is designed to help publishers sell books and to help books become discovered, consists of Google hosting and displaying material provided by book publishers or other rights holders with the permission of the rights holders. The Library Project involves the digital scanning of books in the collections of numerous libraries without the permission from the copyright holders. Pursuant to an agreement with Google, participating libraries can download a digital copy of each book scanned from their collections. Google also creates more than one copy of each book it scans and maintains digital copies on its servers and back-up tapes. Plaintiffs, the legal or beneficial owners of various books, commenced this action alleging that Google committed copyright infringement by scanning copyrighted books and making them available for search without permission of the copyright holders. Google’s primary defense was fair use. 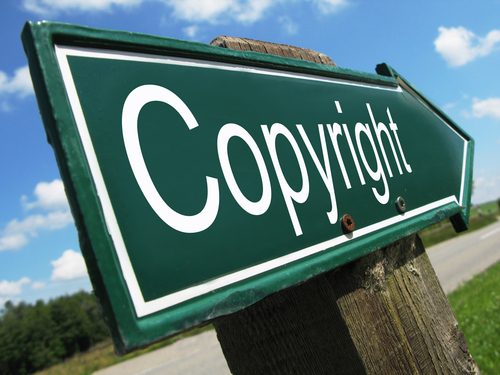 According to Section 107 of the Copyright Act, the fair use of a copyright work , . . . for purposes such as criticism, comment, news reporting, teaching (including multiple copies for classroom use), scholarship, or research, is not an infringement of copyright. In determining whether the use made of a work in any particular case is a fair use, the factors to be considered shall include — (1) the purpose and character of the use, including whether such use is of a commercial nature or is for nonprofit educational purposes; (2) the nature of the copyrighted work; (3) the amount and substantiality of the portion used in relation to the copyrighted work as a whole; and (4) the effect of the use upon the potential market for or value of the copyrighted work. The court analyzed each of these factors as general guidance to determine whether Google infringed on the rights of the copyright holders. First, with respect to the purpose and character of use, a key consideration is whether the use of the copyrighted work is “transformative,” that is, whether the new work merely supersedes or supplants the original creation or whether it instead adds something new, with a further purpose or different character, altering the first with new expression, meaning, or message. The court determined that Google’s use of the copyrighted works was highly transformative. Google Books digitizes books and transforms expressive text into a comprehensive word index that helps readers, scholars, researchers and others find books. Google Books helps librarians and cite-checkers to identify and find books. The court found that the use of book text to facilitate search through the display of snippets was transformative. The court also found Google Books to be transformative in that it has transformed book text into data for purposes of substantive research, including data mining and text mining in new areas, thereby opening up new fields of research. Moreover, the court concluded that Google Books does not supersede or supplant books because it is not a tool to be used to read books. Finally, even though Google is a for-profit company and Google Books is a commercial enterprise, and despite the fact that a commercial use tends to weigh against a finding of fair use, the court found fair use because Google does not engage in direct commercialization of copyrighted works, i.e. Google does not sell the scans it has made of the books, does not sell the snippets that it displays, and does not run ads on the pages that contain snippets. With respect to the second factor, the court considered certain facts (e.g. that the majority of the books are non-fiction and that the books at issue are published and available to the public), and concluded that such considerations favor a finding of fair use. With respect to the third factor, the court noted that Google scans the full text of books and it copies verbatim expression. The court noted that, as one of the keys to Google Books is its offering of full-text search of books, full-work reproduction is critical to the functioning of Google Books. Even though Google limits the amount of text it displays in response to a search, the court concluded that the third factor weighed slightly against a finding of fair use. Finally, with respect to the fourth factor, the plaintiffs argued that Google Books would negatively impact the market for books and that Google’s scans would serve as a “market replacement” for books. The court disagreed with this argument because Google does not sell its scans, and the scans do not replace the books. The plaintiffs also argued that users could put in multiple searches, varying slightly the search terms, to access an entire book. Again, the court disagreed and found it highly unlikely that someone would take the time and energy to input countless searches to try and get enough snippets to comprise an entire book. According to the court, not only is that not possible as certain pages and snippets are blacklisted, the individual would have to have a copy of the book in his possession already to be able to piece the different snippets together in coherent fashion. To the contrary, the court found that Google Books would only enhance the sales of books to the benefit of copyright holders and determined that Google Books provides a way for authors’ works to become noticed, much like traditional in-store book displays. The court weighed the competing factors and found Google’s use to be a fair use. According to the court, Google Books provides significant public benefits by advancing the progress of the arts and sciences, by maintaining respectful consideration for the rights of authors and by not adversely impacting the rights of copyright holders. Also, Google provides the libraries with the technological means to make digital copies of books that they already own, wherein the libraries then use the digital copies in transformative ways by creating their own full-text searchable indices of books, maintaining copies for purposes of preservation, and making copies available to print-disabled individuals. 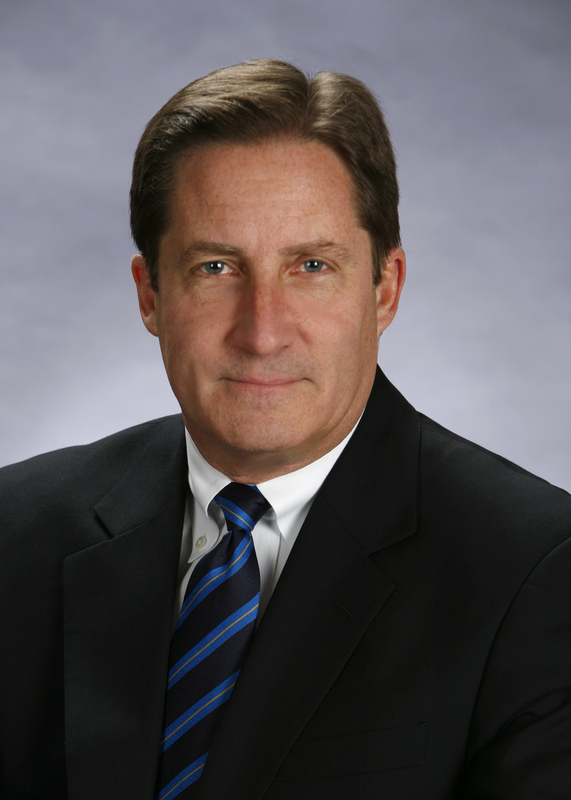 Magistrate Judge Jeffrey J. Keyes from the U.S. District Court for the District of Minnesota issued an important report and recommendation affirming the ability of patent attorneys to use copyrighted articles during patent prosecution (e.g., to submit them to the USPTO to fulfill disclosure requirements) as fair use. In American Institute of Physics, et al. v. Schwegman Lundberg & Woessner, P.A. (No. 12-cv-00528), various publishers sued a law firm that had copied their copyrighted scientific articles in order to assess whether the articles were prior art and, if they were, sent copies to the USPTO to fulfill its obligation to disclose prior art. The publishers originally argued that any use by the law firm of these articles without payment constituted copyright infringement. However, they dropped their claims as to the firm’s (1) making copies to be sent to the USPTO, (2) sending copies to the USPTO, and (3) retaining one copy for its files. They continued their infringement claims as to the downloading of the articles, making other copies that existed in the firm’s files, and distributing the copies to its clients or others in the firm. The law firm argued that none of these actions infringed because of the fair use exception. In assessing the applicability of the fair use defense, a court must consider (1) the purpose and character of the accused infringer’s use, (2) the nature of the copyrighted work, (3) the amount of used, and (4) the effect of the copying on the relevant market. The Court determined that the nature and purpose of the firm’s use was different from that of the publishers. The publishers publish the works for the betterment of science and to allow other scientists to test and validate the authors’ findings. In contrast, the firm used the articles to satisfy a legal requirement of disclosure to assist the USPTO in determining whether an invention was new and novel. The Court further found that the intended audience for the two parties was different and did not overlap. The publishers’ audience was scientists, students, libraries, etc., whereas the firm’s audience was the USPTO and lawyers in the firm. The Court also considered the nature of the articles to slightly favor the law firm. Because the articles were primarily factual and informational in nature, they fell a bit further from the creative types of expression more strongly protected by copyright law. The Court looked at the amount of use and also concluded that, despite the copying of the entire article, this factor also favored the law firm. In order to satisfy its obligation of disclosure, the firm had to use the entire article. Thus, its entire use was consistent with its allowed purpose. Finally, the Court looked to whether there were any other factors that might favor either party. It concluded that the law firm’s use was consistent with the overriding Constitutional basis for both the patent and copyright laws, which is to promote the progress of the science and useful arts. Such copying ultimately furthered this objective and the public good by assisting the USPTO in weeding out improper patents. Ultimately, in weighing all of the factors, the Court concluded that the law firm’s use of the copyrighted articles was fair use and not copyright infringement. In what appears to be the conclusion to the saga that was the Righthaven LLC copyright troll experiment (see past posts here), the Ninth Circuit affirmed the District Court’s determination that Righthaven lacked standing to sue for copyright infringement in Righthaven LLC v. Hoehn, No. 11-16751. As the Ninth Circuit confirmed, a plaintiff must have more than a bare right to sue in order to have standing. As we discussed two years ago, Righthaven LLC was set up to acquire copyrights from various entities and then sue alleged infringers who used any or all of the copyrighted works. In particular, Righthaven purported to obtain assignments from the Las Vegas Review-Journal. However, these assignments were nothing more than a bare right to sue with restrictions. Righthaven obtained no right to exploit the copyrights or obtain any royalties. Instead, the paper retained essentially every meaningful right associated with the copyright, including an exclusive license, the right to veto any potential copyright litigation, the right to receive proceeds from any litigation, and the right to revert ownership back to itself should it choose. Nonetheless, Righthaven proceeded to sue hundreds of individuals who used some or all of these copyrighted works. Eventually, as the result of discovery and inquiries by the Court, the true nature of Righthaven’s rights became apparent. At that point, the District Court determined that Righthaven was not, in fact, the true owner of the copyright and dismissed Righthaven’s copyright claims. Righthaven appealed this determination to the Ninth Circuit, which affirmed. Under the Copyright Act, only the “legal or beneficial owner of an exclusive right under a copyright” has standing to sue for infringement. 17 U.S.C. § 501(b). An assignment of a bare right to sue is not sufficient to confer standing. To determine whether a party has sufficient exclusive rights, courts are to look at the substance and effect of any contract purporting to assign ownership, rather than the words or labels given by the parties. In this case, the Ninth Circuit found that Righthaven held none of the exclusive rights typically associated with a copyright owner. Instead, it only had a bare right to sue, which was insufficient to confer standing. With this finding, it appears that the Righthaven experiment in copyright trolling is over. It will be interesting to see if others take up the mantle or whether this was a fleeting experiment. Patent Prosecution Law Firms Beware . . .
Posted on April 17, 2013 by Joe Carnicella | Comments Off on Patent Prosecution Law Firms Beware . . .
By: Joe Carnicella, intellectual property attorney with Picadio Sneath Miller & Norton, P.C. On April 15, Thomson Reuters published a very interesting article that should be read by attorneys who represent clients in preparing and filing patent applications. The article can be found here. The article reports that at least three cases have been filed by publishers and copyright holders of scientific, technology and medical journals (American Institute of Physics and John Wiley & Sons Ltd.) against law firms for using copyrighted materials as part of the patent application process. The law firms have been accused of “wrongly using copyrighted works to promote their business interests.” In particular, the article reports that the plaintiffs are not complaining about copies being submitted to the USPTO, but rather, they are objecting to the fact that law firms made and kept additional copies of the copyrighted materials. The law firms have responded by arguing that, inter alia, copies made during the course of the representation constitute fair use. We will continue to monitor these cases. Comments Off on Patent Prosecution Law Firms Beware . . .